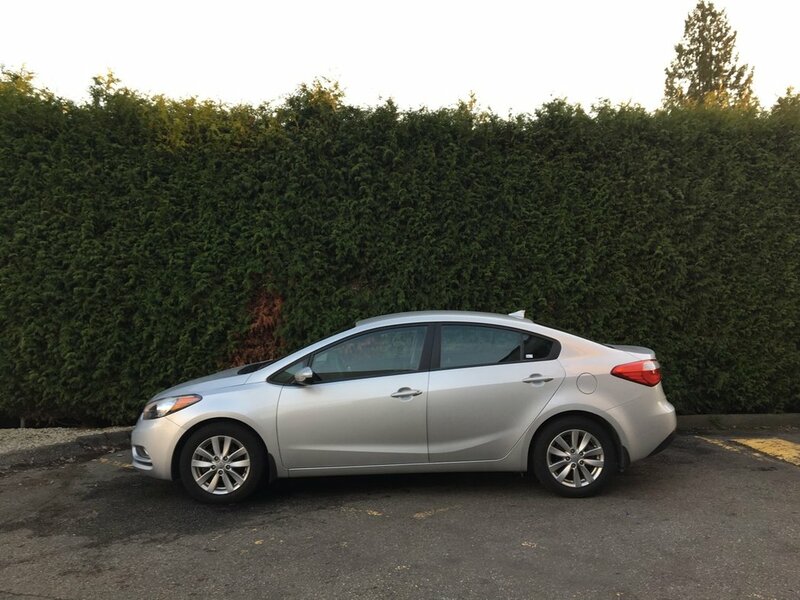 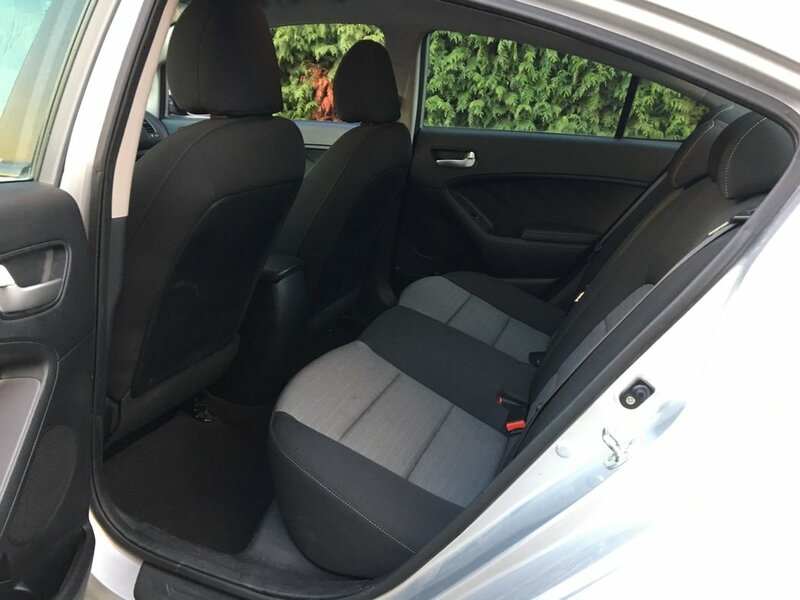 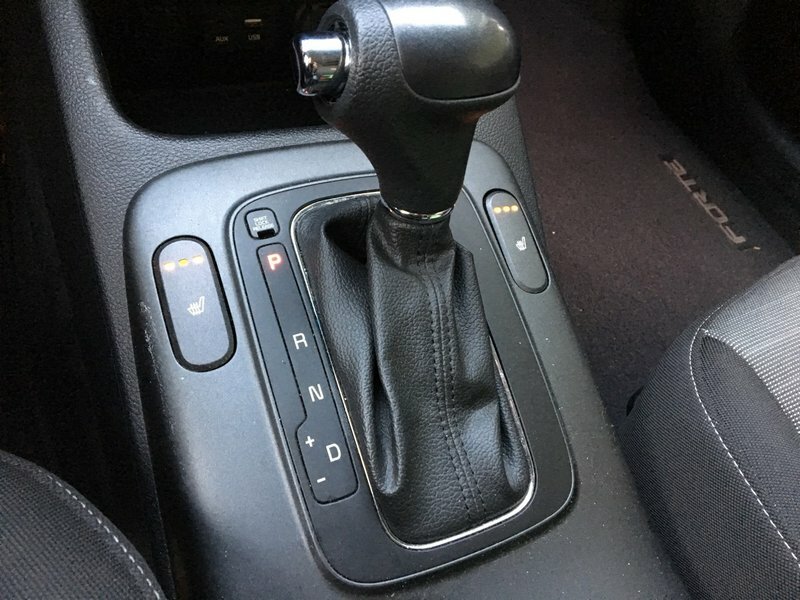 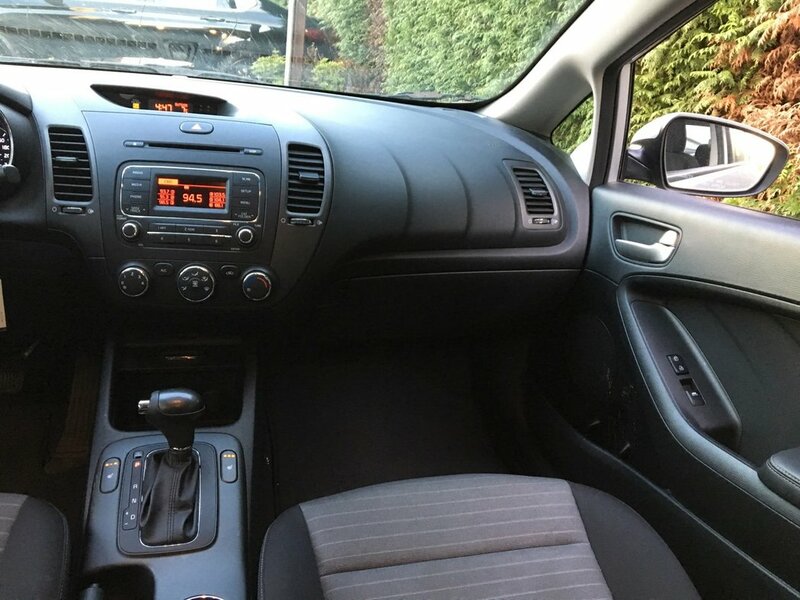 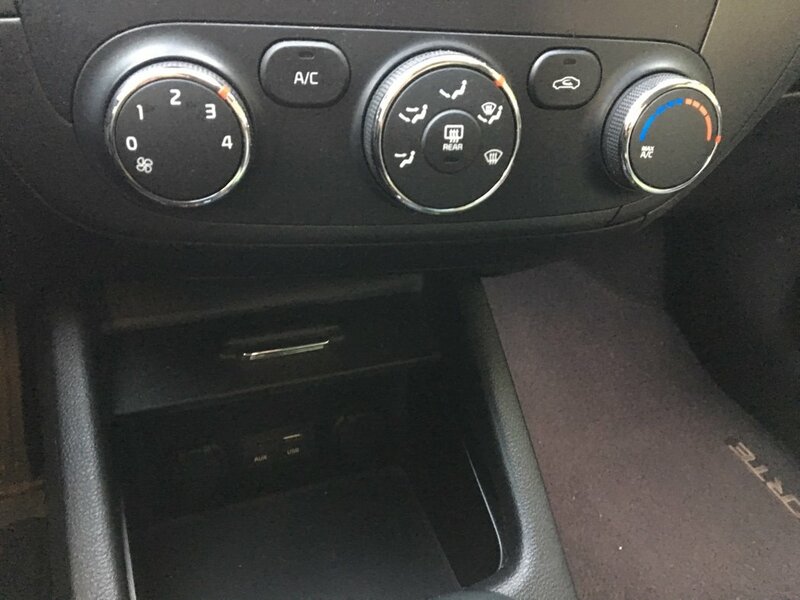 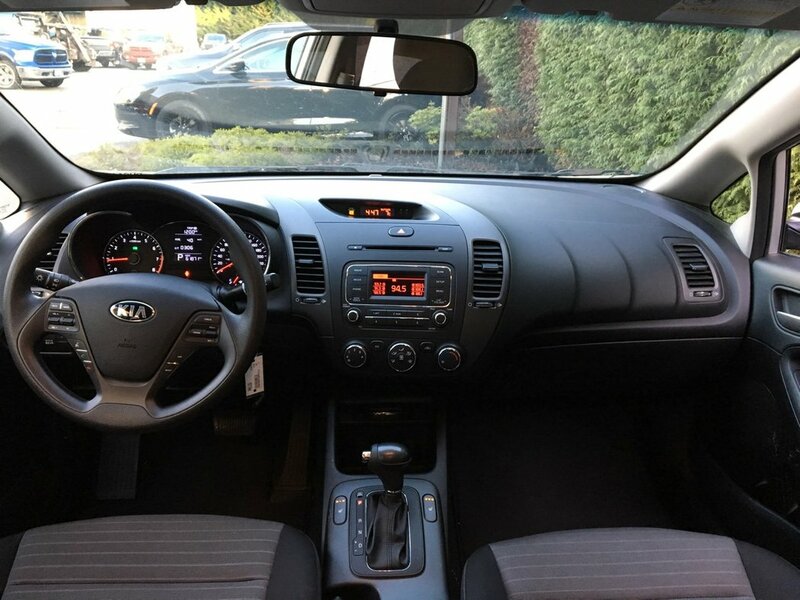 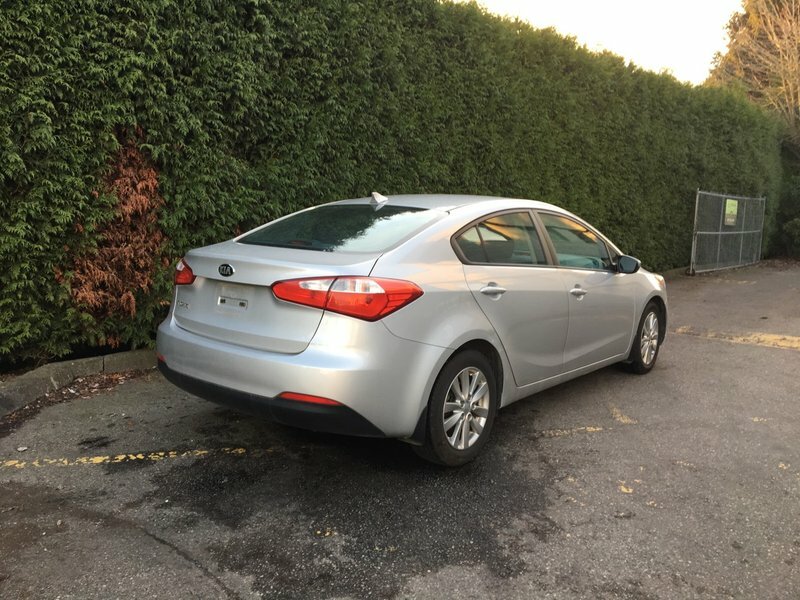 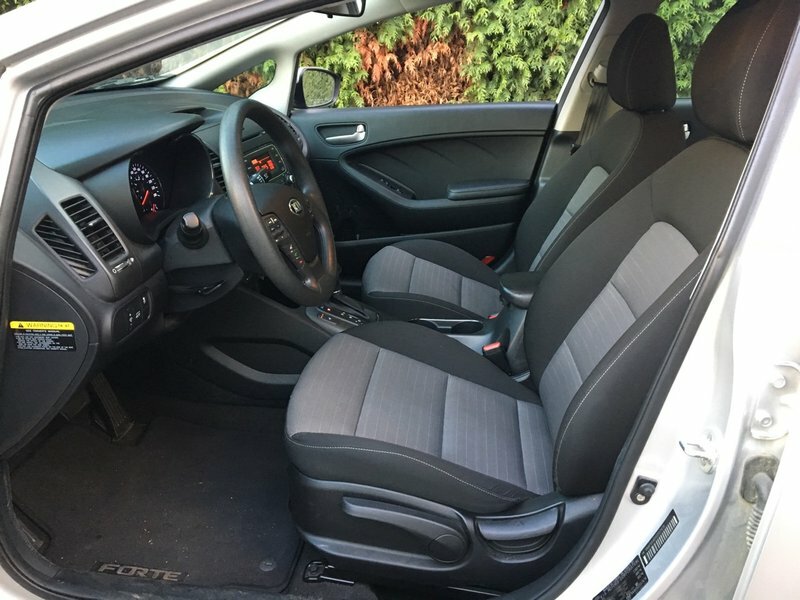 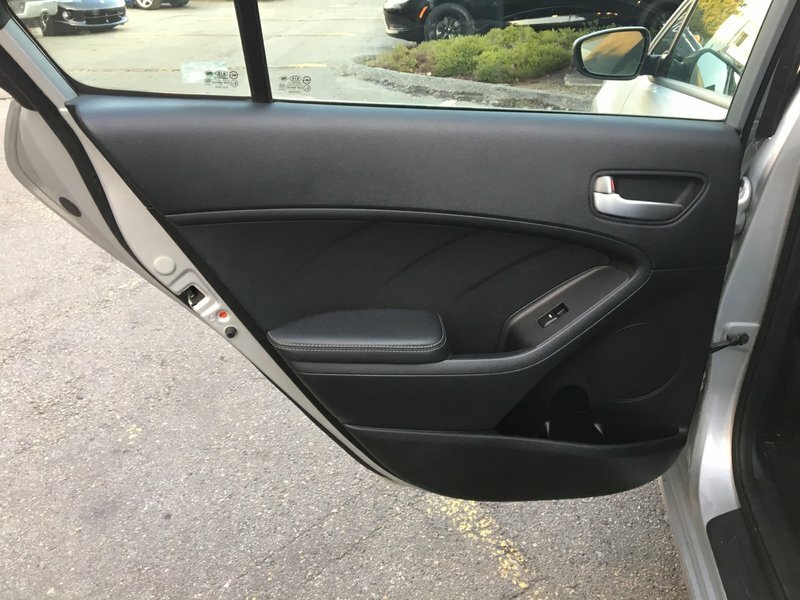 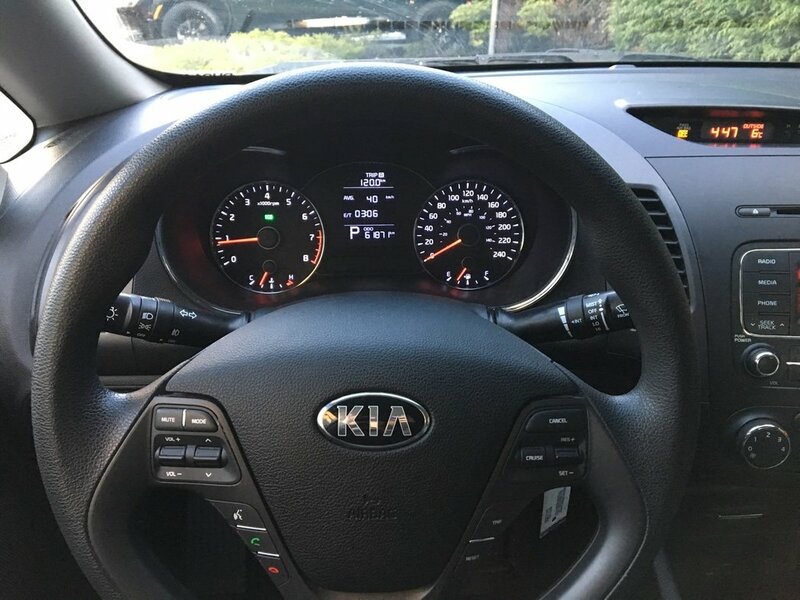 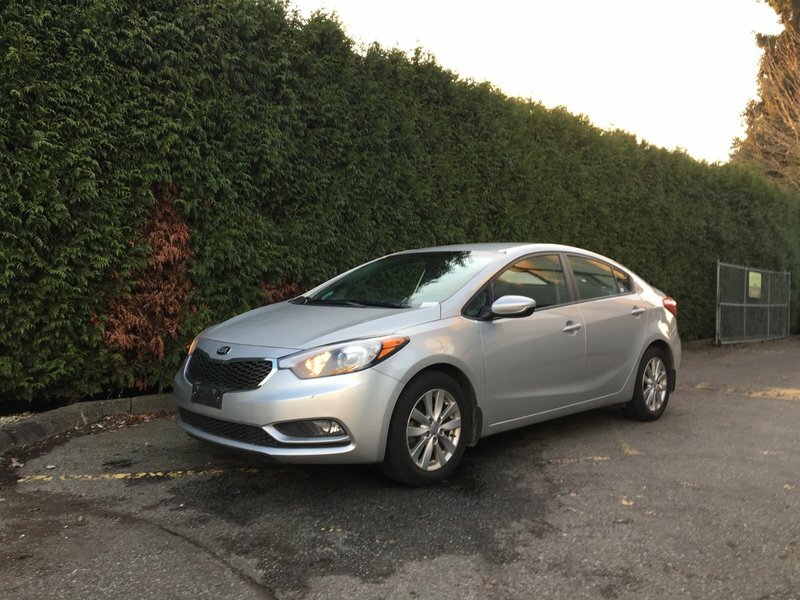 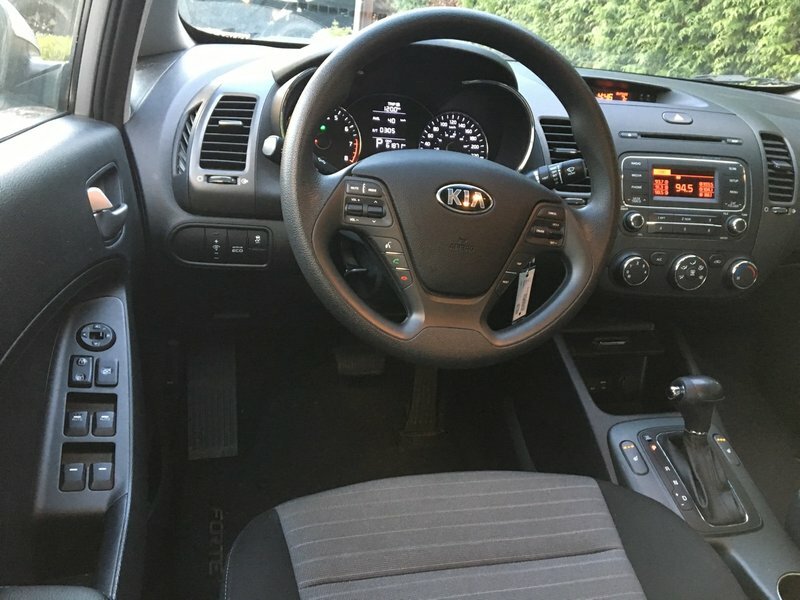 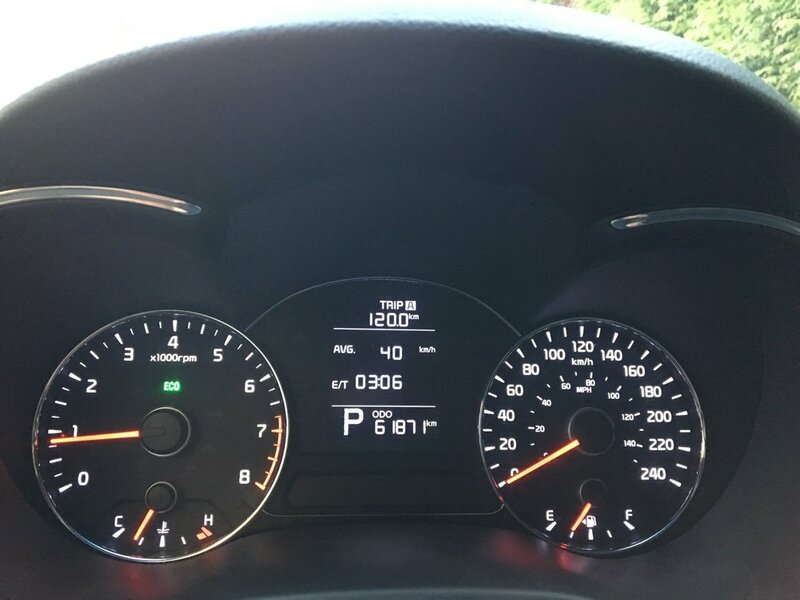 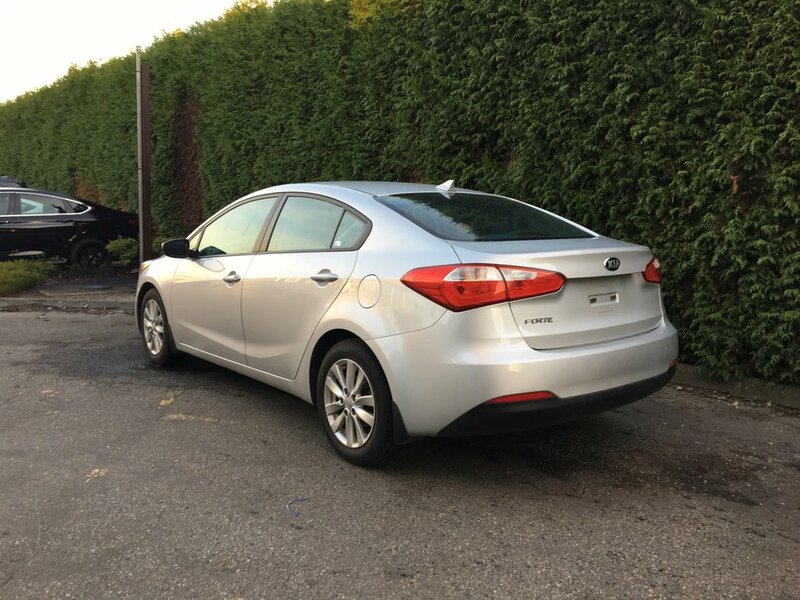 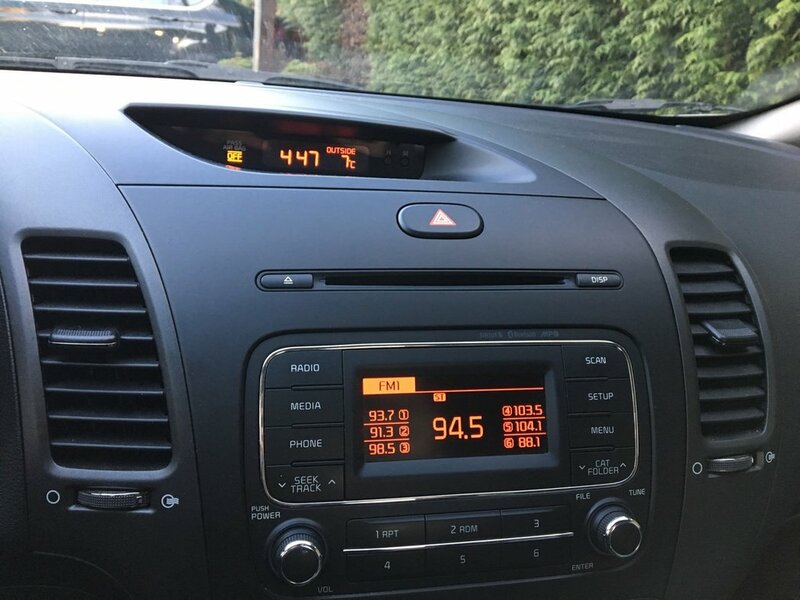 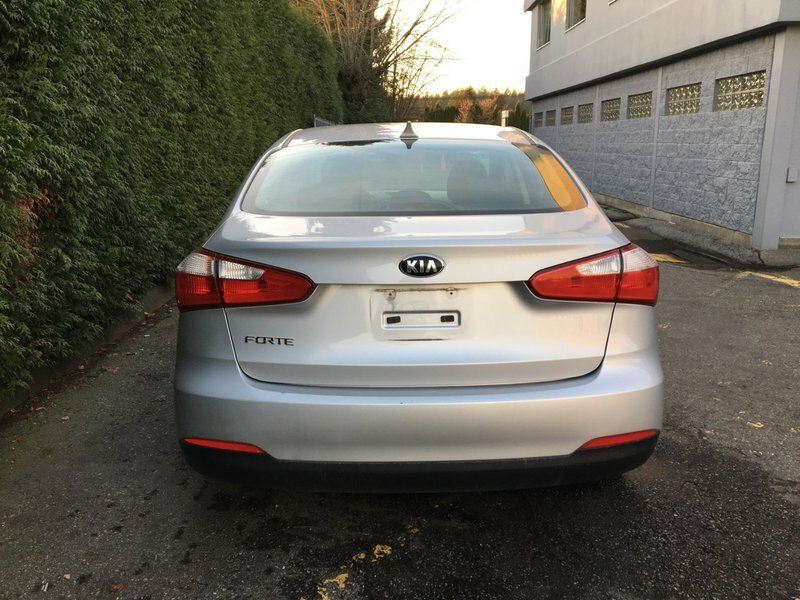 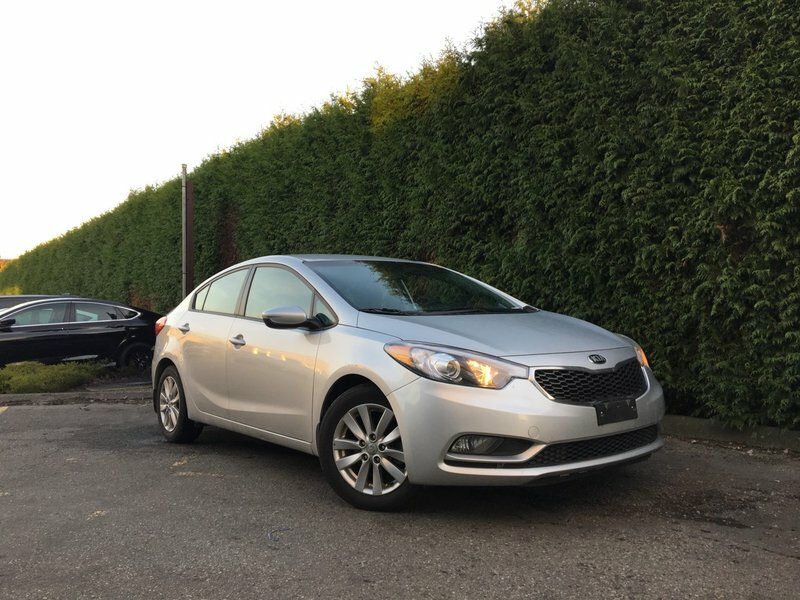 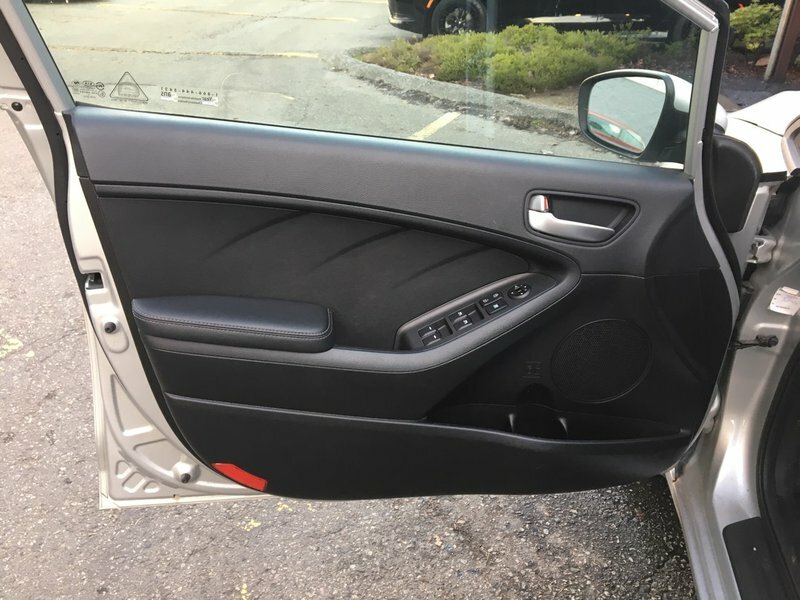 Our well maintained 2016 Kia Forte is equipped with comfortable cloth HEATED FRONT SEATS, BLUETOOTH, air conditioning, a driver height adjuster seat, AM/FM/CD/MP3 audio system, Satellite radio, steering wheel mounted audio controls, a USB/iPod interface and an auxiliary audio jack, a 60/40-split-folding rear seat, 14-inch steel wheels with covers and is powered by a 1.8-liter four-cylinder engine making 145 horsepower and 130 pound-feet of torque. 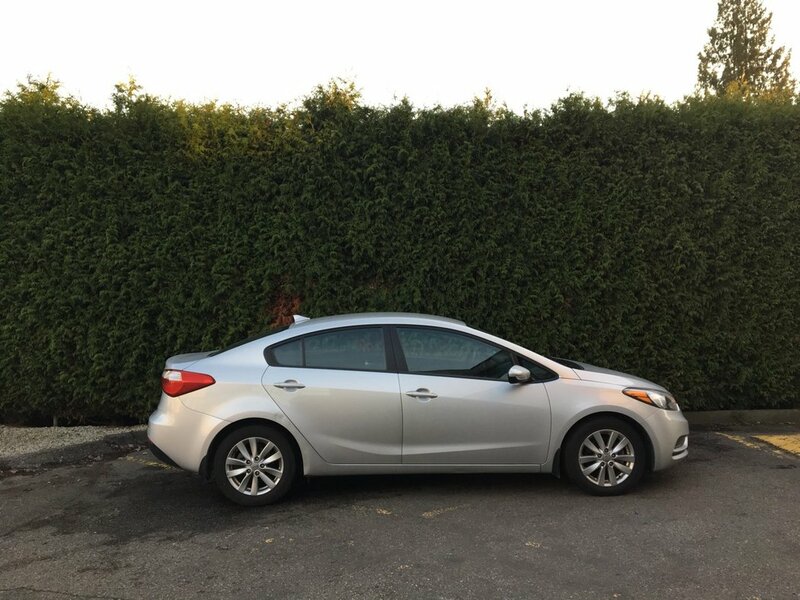 Standard safety equipment on every 2016 Kia Forte includes antilock disc brakes, traction and stability control, front side airbags and side curtain airbags. 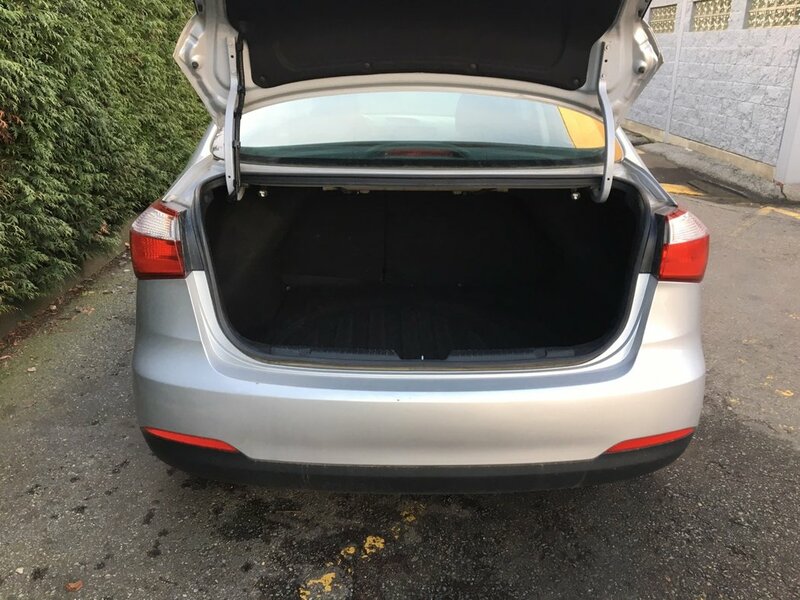 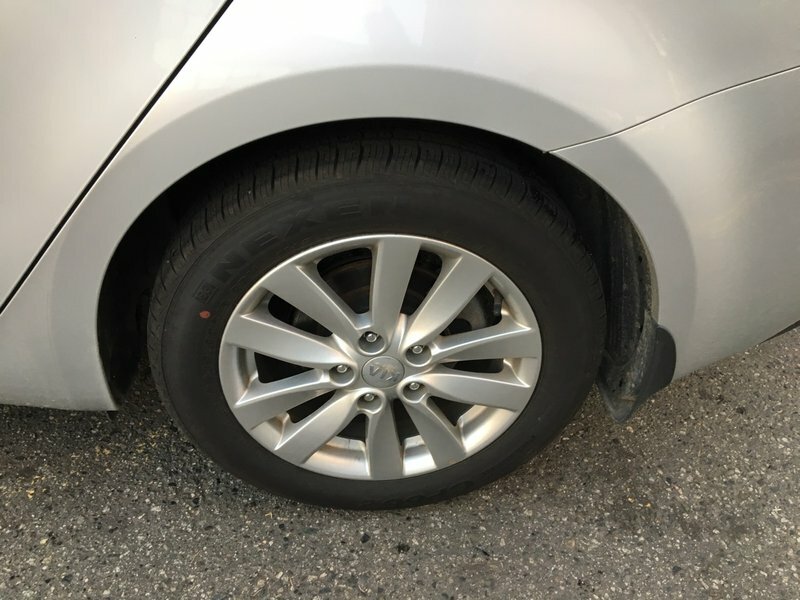 One of our certified technicians replaced the front pads and rotors $290.00 and replaced the rear pads and rotors $290.00 and performed a fresh oil change so this car can get back on the road. 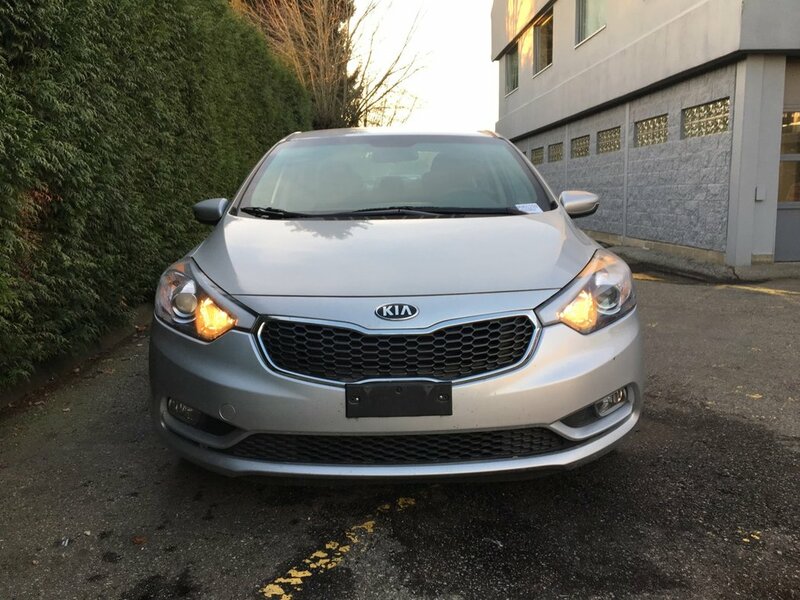 Come down to Go Dodge Surrey with the whole family and test drive this safety inspected vehicle today or call 1 877 391 7574 to schedule your test drive today in this sedan with NO EXTRA DEALER FEES.